string(1119) "Resource Centre > Uncategorized > Corporate Human Rights Benchmark – 2018 Key Findings"
The 2018 Corporate Human Rights Benchmark assesses 101 of the largest publicly traded companies in the world on a set of human rights indicators. The companies from 3 industries – Agricultural Products, Apparel, and Extractives – were chosen for the first Benchmark on the basis of their size (market capitalisation) and revenues and assessed across 6 Measurement Themes which have different weightings. 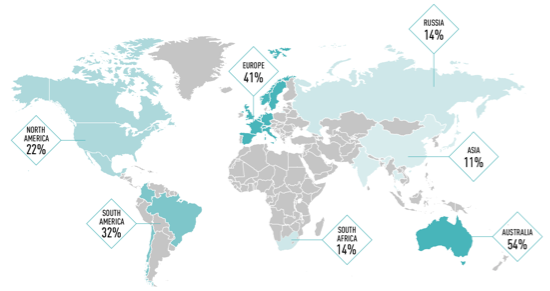 Even though average scores are low across the board, overall companies tend to perform more strongly on policy commitments and management systems than on remedy or dealing with key risks in practice. The average score across all companies has increased since the pilot in 2017, but remains unacceptably low at 27%. The research shows that, overall, businesses need to get better at ‘walking the talk’ by matching their paper commitments with clear, consistent action when human rights abuses or risks are identified. Prada, Hermes, Monster, Starbucks and Kraft Heinz among companies scoring poorly. Leading companies include Adidas, Rio Tinto, Marks and Spencer and Unilever. Majority of clothing and agricultural companies failing to do enough to prevent child labour. 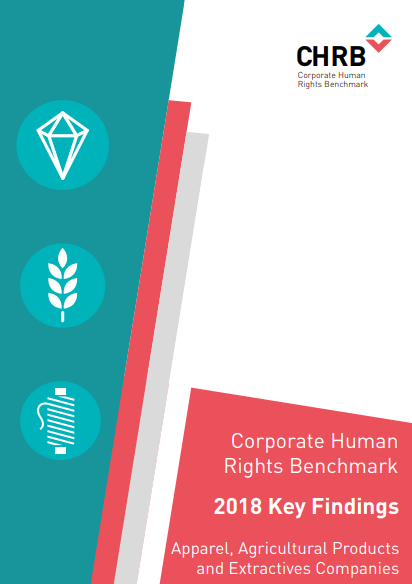 The CHRB pilot methodology assessed the top 100 companies across the agricultural products, apparel and extractives industries on their human rights policies, processes and performance.